Although my practice is not technically rooted in photography, my methods for curating my most recent project ‘The Imaginary Museum’, deal with the impact of photography on the production, collection, and dissemination of art through images. These ideas originally stemmed from the Andre Malraux quote “The history of art is the history of what can be photographed.” This field not only includes the images produced in this manner, but also the material culture of technologies and the networks that facilitate the spread of particular images. Such ideas of the ‘mimetic’ and ‘viral’, were also discussed by philosopher Vilém Flusser through his ideas of a ‘telematic society’: “His innovative writings theorize -and ultimately embrace- the epochal shift that humanity is undergoing from what he termed “linear thinking” (based on writing) toward a new form of multidimensional, visual thinking embodied by digital culture. For Flusser, these new modes and technologies of communication make possible a society… in which dialogue between people becomes the supreme value.” As such, Vilem Flusser’s book, ‘Towards a Philosophy of Photography’ provides an interesting insight into the various strands of this topic. The book is separated into a collection of essays detailing the similarities and differences between traditional and technical images, the definition of the apparatus, the distribution and reception of photographs, and why a philosophy of photography is necessary. The original German text was written in 1983 and the English version was published by Reaktion Books in 2000. However, despite being over 30 years old, the text has proved remarkably prescient in light of the emergence and increasing dominance of digital technologies. As I’ve discussed previously, the link between culture and technology goes beyond the material nature of machines and networks, to the historical thinking processes that facilitate these developments. In addition to Aby Warburg and Walter Benjamin, Vilém Flusser was another scholar dedicated to understanding the impact of image networks; an idea he referred to as ‘telematic society’. My visit to gallery camp at Derby Quad has rekindled my interest in the use of technology in art. This ranges from the depiction of technology as a metaphor, as with the alchemical imagery of Marcel Duchamp’s ‘The Bride Stripped Bare by her Bachelors, Even’, through to more literal translations. The use of technology in art practice has become more visible since the first examples of Net Art in the 1990s. However, these artworks have predecessors in collaborations between the humanities and technological developments stretching back to the early 1900s. 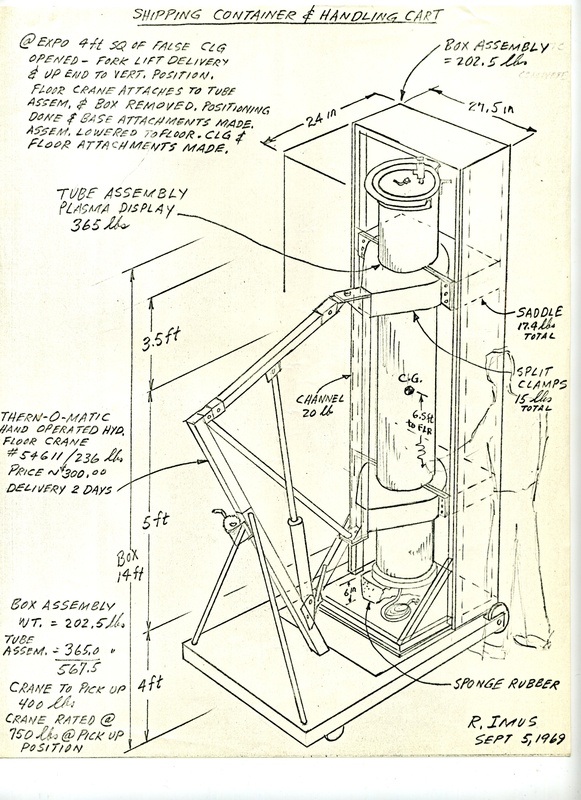 These early examples focused on artistic responses to military technology, as well as new developments in computing to aid humanistic scholarship. This week I have been looking at one particular example of artists and technologists working together to produce new works and to showcase ideas and scientific developments. The project was called the Art and Technology programme and I first became aware of it at the conference ‘Imaginary Exhibitions’, which was held at Henry Moore Institute, Leeds in November 2013. The Art and Technology project at the Los Angeles County Museum of Art in Southern California (or LACMA, for short), ran between 1966 and 1971. Its curator, Maurice Tuchman, was interested in developing the links between art and industry, as well as building on artists interests in technological advancement through movements such as Futurism and Vorticism. His colleague Jane Livingstone however, was aware of the differences between the utopian vision of the early 20th Century avant garde and the cynicism of artists of the 1960s. At this time, many artists felt a sense of alienation which they attributed to the appropriation of technology by business interests. In forging connections between art and industry, she hoped to ameliorate these fears and allow artists to develop their ideas through access to increased funds and material capabilities. Tuchman and Livingstone invited proposals from artists, who would then be paired with businesses who shared similar interests or working methods. 40 different companies (including those from the IT, Aerospace and Defence industries), contributed funding and expertise on the basis that they would benefit from the research and development of the artists. 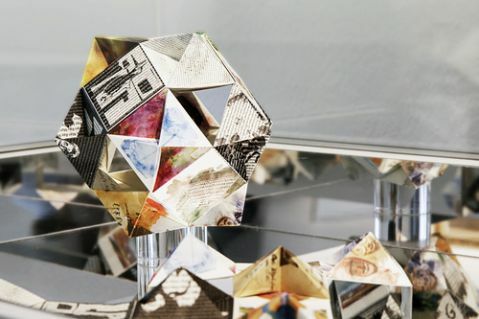 They would also own any potential artwork produced from the project, although artists were not compelled to produce an exhibitable product as part of their collaboration. The curators solicited proposals from 76 artists in total, however by the end of the four year collaboration, only fourteen artists were exhibited in the final exhibition at LACMA. This was due to a number of factors, including artists failing to submit proposals, having proposals rejected, choosing not to produce a tangible object, or leaving their collaborations early due to “irreconcilable differences”. The artists/technologists included in the exhibition were: James Byars, Jean Dupuy, Oyvind Fahlstrom/Heath Company (‘Meatball Curtain’), Newton Harrison/NASA Jet Propulsion Lab (Illuminated, gas-plasma-filled columns), R.B. Kitaj, Rockne Krebs/Hewlett-Packard (‘Day Passage’ using laser technology), Roy Lichtenstein/Universal Studios (‘Three Landscapes’), Boyd Mefferd/Universal Television Company (Strobe installation), Claes Oldenburg/Disney/Gemini G.E.L. (‘Ice Bag’), Robert Rauschenberg/Teledyne, Inc. (‘Mud Muse’), Richard Serra/Kaiser Steel Company (‘Five Plates and Two Poles’), Tony Smith/Container Corporation of America, Andy Warhol/Cowles Communication (‘Rain Machine’ using holographic printing), and Robert Whitman/Philco-Ford Corporation (‘Mirrored Room’). Apart from the forward thinking nature of the initiators, the project was also praised for its evaluation. 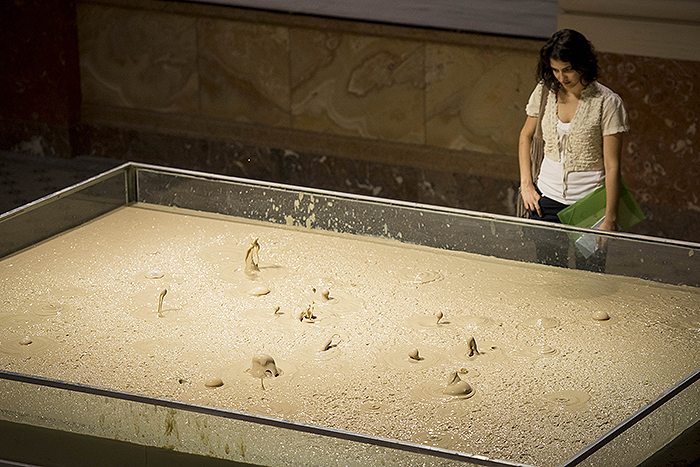 This evaluation was in the form of a detailed report which doubled as an exhibition catalogue. The report, entitled ‘A Report on the Art and Technology Program at the Los Angeles County Museum of Art’, detailed discussions and plans made between the artists, curators and organisations, creating an extensive methodology for producing future art and technology collaborations. Gallery Camp was founded in 2013 by Birmingham-based innovators Dan Slee and Tim Wilson. The first event was held at the New Art Gallery in Walsall on 9th September 2013 and was supported by Arts Council England, Futuregov, and IEWM. Developed as an open conference format, sessions were pitched on the day, and included demonstrations of new technologies including Leapmotion, and discussions around other forms of gestural and interactive technology. Other contributions had included presentations about the importance of 3D printing in galleries, the role of digital in improving access to galleries, and how museum professionals can better work with crowd sourced interpretation and community archives. After running their first meet up, the Gallery Camp team discussed possibilities for development, and organised a making event at Birmingham City University in order to capitalise on new connections, ideas and collaborations developed at the previous conference. This year’s annual unconference was held at Derby Quad on 23rd September 2014, and invited artists, curators, producers, technologists and others interested in engaging with technological innovation in the arts sector. For Gallery Camp 14, the organisers combined the discussion and making activities and participants chose which sessions they wanted to attend. I decided to focus on the practical activities as they had organised some MakeyMakey sessions and I was keen to get to grips with the technology after writing about it in my artist blog last year. The MakeyMakey sessions began with a basic introduction to the technology, which consists of a simple arduino board which works by plugging into a computer. For smaller or more portable versions, it can can also be used with Raspberry Pi. The system is designed to create an interface between the physical and the digital by producing a circuit between organic materials. This means that any conductive object can become a control pad to produce a digital effect. ie. bananas used as piano keys to make sounds on a computer. Obviously, this can have some drawbacks when wanting to produce longer term installations so other materials can be use to complete the circuit such as metal tape or conductive paint. I was particularly interested in the possibilities for conductive paint as it can be used to create wall-painted ‘wires’ which can be painted over allowing people to touch particular parts of the wall to produce an effect. 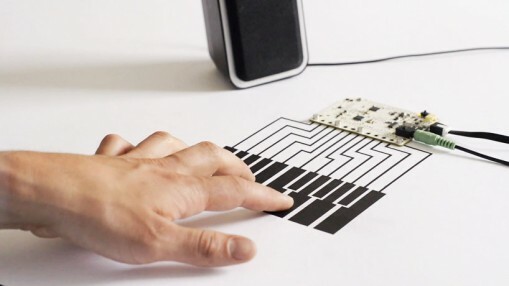 I am interested to see what might be possible through printing with conductive paint as this could also produce interesting possibilities for interactive objects. My investigations into art historical networks have led me to consider their use within Post-Internet art, and how this can be considered a return to premodern prosumer culture. 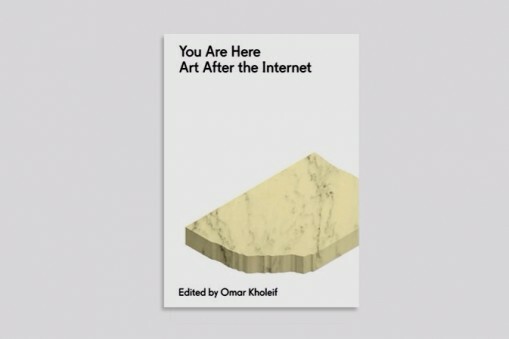 Some of these ideas are discussed in the book ‘You are here: Art after the Internet’ by Omar Kholeif, which is a collection of essays designed to question the effect of Web 2.0 on the production and dissemination of art practice. Rather than presenting a definitive description of the Post-Internet phenomenon, the aim of the book is to understand these ways of working, particularly in relation to questions around authorship, commodity, and authenticity. The term Post-Internet Art developed out of the rise of social media and online networks, as a way of distinguishing itself from Net Art and other art forms that were beholden to particular technological formats. 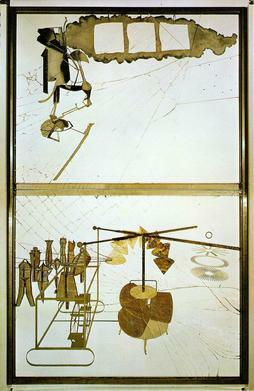 However, although modern technologies have exponentially increased the possibilities for artists to produce and disseminate works to a much wider audience, Post-Internet Art as a mode of thinking and making (as opposed to a genre or medium) can be understood as the type of networked thinking employed by pre-Internet scholars such as Aby Warburg and Walter Benjamin. Furthermore, this method of relational production has more in common with methods employed in the pre-Enlightenment era, rendering the internet as a non-modern space.